Over the winter I played dodgeball. 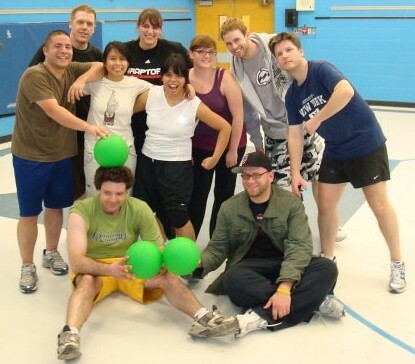 It was my first dodgeball season and it was a great deal of fun. We actually ended up winning the championship. Believe it or not, this is what a champion co-ed dodgeball team looks like. Scary, eh? I've signed up for another season and will play my first game Tuesday.